by Bev Acreman — The focus in this issue is on how the UKSG fulfils its remit to span the wide range of interests and activities across the scholarly information community of librarians, publishers, intermediaries, and technology vendors. by Ed Pentz — We all know about losing access to online journals when journals change publishers. The Transfer Code of Practice draft was released in 2007 and has undergone many revisions since then. by Nancy Beals — Nancy advocates more attention and participation in the Transfer Code of Practice for the benefit of our community. by Alison Mitchell — The Code is a voluntary set of best practices and cannot supplant contractual terms, intellectual property rights or the competitive marketplace among publishers. by Sarah Pearson and Andreas Biedenbach — The Knowledge Bases and Related Tools Project attempts to present an approach to providing consistency and accuracy of access for the end user. 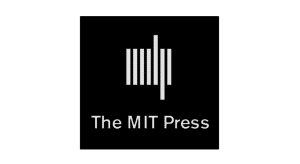 by Julie Zhu, Gary Pollack, Ruth Wells and Matthew Llewellin — While publishers fully understand the benefits of providing standardized, accurate, and timely metadata, they face practical challenges. many of the issues discussed in these pages. by Liz Stevenson and Chad Hutchens — The KBART working group hopes that librarians and users everywhere will be directly impacted by their work through improved communication between libraries, vendors, and publishers. by Adam L. Chandler — Within the limitations of the OpenURL model, improving the quality of the data flowing into link resolvers is the most effective method to decrease the rate of request failures experienced by users every day. by Graham Stone — The scope of this handbook is to provide chapters which cover the whole range of issues and challenges facing the e-resource industry. by Kate Price — In this article Kate examines the work of the UKSG Education sub-committee, which recently reviewed its terms of reference and portfolio of activities. Working with Vendors to Improve their Products by Steve Shapiro – Steve says that we shouldn’t wait for vendors to come see us or to ask us to fill out a survey. Ideas Worth Stealing by Tony Ferguson — Tony returns to let us in on some of the ideas he heard in Charleston 2010 that he wants to steal … oops … implement. by Sanford Thatcher — Given the new challenges that university presses face, doesn’t it make sense to think more seriously about switching to a new model of open access for book and journal publishing? Reviews of Reference Titles by Tom Gilson — This month one of the titles Tom reviews is the Encyclopedia of Religion in America. Monographic Musings by Deb Vaughn — This month read about books dealing with professional development and competencies. First Sale Doctrine – Mountains From Molehills by Bruce Strauch — Omega S.A. v. Costco Wholesale Corporation. by Laura Gasaway — A college librarian asks about the possibility of placing on reserve items which the library does not own but instead obtains through interlibrary loan. Falling Prices in the Out-of-Print Book Market by Bob Holley — Prices are taking yet another tumble in the out-of-print book market. At the Only Edge that Means Anything/How We Understand What We Do by Dennis Brunning — Dennis says quality in search engine land, whether Google or anyone else, is and should be an issue. Reports of Meetings — The first reports from the 2010 Charleston Conference are here! The Getting It System Toolkit (GIST) and Changing Workflow in Acquisitions and Collection Development by Kate Pitcher — GIST changes library workflow and is a new request system for Acquistions and ILL.
Prices, Models, and Fairness: A (Partly) Imaginary Phone Conversation by Rick Anderson — We’ve all participated in this kind of conversation. by Bruce Strauch — What do Fox News and Currier & Ives have in common? Read it here. Retirement is Hurting Us by Mary (Tinker) Massey — Tinker says she is retiring for the third time? Bordering on Disaster? by Mark Herring — Mark suggests that we rethink what it means to provide service. Twentieth-Century Literary Criticism by Marcus Elmore — This column is based on the premise that disciplnary trends may shift, but some classics never go out of style. Settling In by Forrest Link — Forrest is learning about life in the load table and technology trenches. It’s 1066 All Over Again; The eBook Invaders Have Won. by Arlene Moore Sievers-Hill — Arlene believes that the new developments in eBooks will drive adoption in libraries by lightning speed. A Lifetime in Library Supply: 45 Years of Change by Bob Nardini — What a charming partial tour through times with Coutts, Keith Schmiedl, Jonathan Waring, John Merriman, and James and Bob Gray. Paradigm Shift by Jesse Holden — Jesse sees paradigm shifts in our past and in our future. Is Free a Very Good Price? by Xan Arch — Xan talks about her new position and the reality of managing library gifts. by Rita Ricketts — Will King was an Antiquarian Bookseller, among several other occupations.